JP Software Technologies observed that mostly fresh tech graduates candidates don’t know how to develop software. This is because of the lack of real knowledge of software development life cycle for software development. So as a result mostly tech graduates remain unemployed years after years. Software Development training Program in our company has been provided the excellent software development knowledge to our candidates who would teach them entire software development life cycle and after successful completion of the training, every candidate will be offered a job in IT companies. We work with candidates in real time live based projects and provide the company environment to develop the software. We have many live projects in different technologies (.Net/PHP/Java/Mobile Apps) and give the chance to candidate for improve the technical and also personal skills. We provide the guideline for facing the interview round in more different companies. 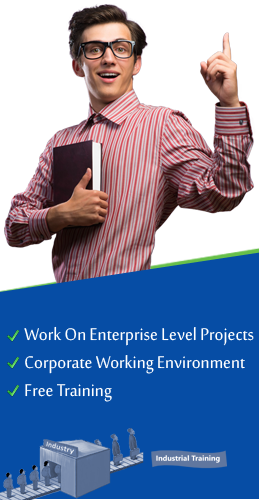 JP Software Technologies is one best company who will resolve your all problems to getting the jobs in IT sector. Anyone who needs a job in software development. After successful completion of the training, you will able to get a full time job in IT companies and you will begin your career in software development industry as application developer, programmers, web application developer etc.